Is Ambit Energy a Scam? - I Wish I Knew this Beforehand! 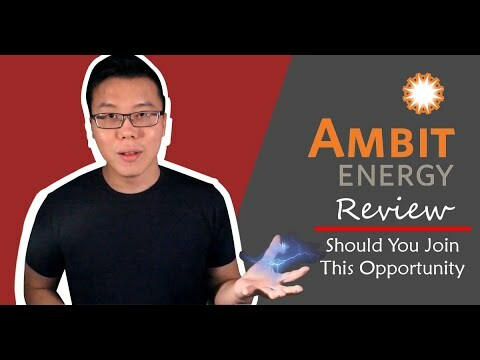 >> Is Ambit Energy a Scam? – I Wish I Knew this Beforehand! Is Ambit Energy a Scam? The short answer to the question is "No"! Ambit Energy is not a scam. 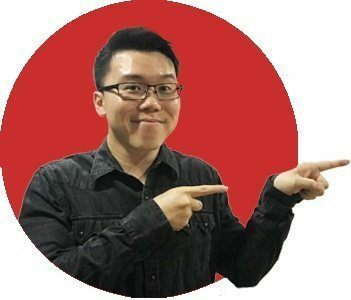 I understood from them that some customers would have good experiences, while others may have bad experiences with the company. I am going to expose the truth about the company, and everything you need to know before joining as a consultant. Should You Switch to Ambit Energy? #1 Is It Really Cheaper? #3 What you need to know about Fixed Plans? #4 Did your consultant disclose everything to you? #5 What others say about the service? Should You Join Ambit Energy as a Consultant? #1 Ambit Energy is (NOT) an Easy Sell! 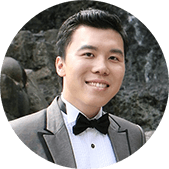 How Much Does it Cost to Join as a Marketing Consultant? In Case You Don't Know What Ambit Energy is? Is Ambit Energy a Pyramid Scheme? Does the Company or its Consultants Deceive Consumers? How to Protect Yourself from an Ambit Energy Scam? What if Ambit Energy is Not the Right Business For you? Someone close introduced you to Ambit Energy, and you are wondering if you should switch your energy provider to them. 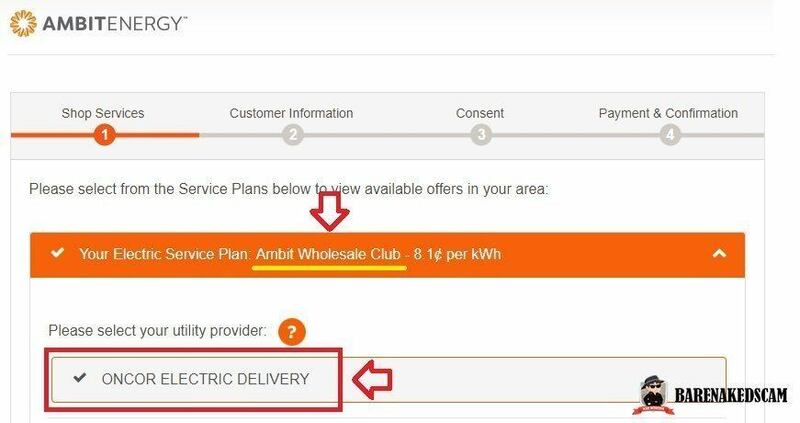 The first question to ask before switching to Ambit Energy is, "is it really cheaper than your current provider?" If you haven't yet compared the rates, do take out your current energy bill and compare it against this. One thing you have to understand is that Ambit Energy provides 2 types of plan, a Fixed Rate Plan, and a Variable Rate Plan. I would recommend that you compare the prices against the Fixed Rate Plans because there are many complaints about the variable plans. Some people have been charged 8 to 10 times their current energy bill just because they selected a variable plan. Depending on the fixed rate plan you signed up for, there is a contract expiry. Some plans will lock you in the fixed rate for 12 months and some for 24 months. The critical thing to note is that after the contract expires, you will automatically be enrolled in the variable plan. That's unless you make an effort to renew or sign up for a new fixed rate plan. This is the very reason that leaves many people enraged with the company because they were not aware of this fact. You still have to be cautious because your name is on the dotted line. It takes a lot of time to read the contract through and through, but it is worth it. Also, it is the responsibility of the consultant to highlight the things you need to know before you put pen to paper. For example, if you've decided on a variable plan, your marketing consultant should carefully highlight the risks, like the fluctuating rates, and all. And, it is the responsibility of the user to keep track of the real-time rates. I would suggest that you do your due diligence (without the presence of a consultant) before making the decision. The Class Action Lawsuit was mainly against the false advertisement that lures people into buying "cheap" energy. 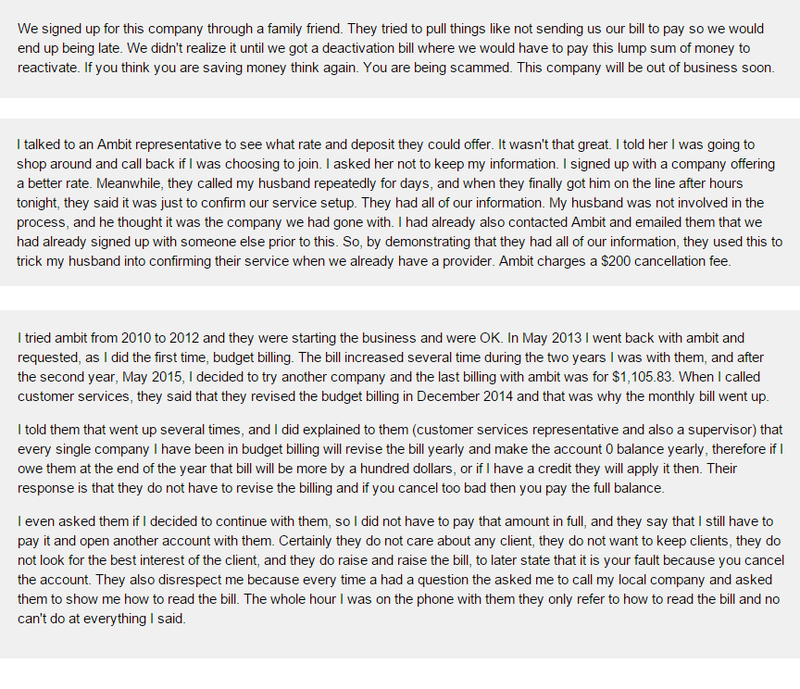 Many consumers claimed that they didn't know about the clause that allows Ambit to hike their charges without limits. So, in 2015, Ambit Energy settled the class action lawsuit for $950,700. The proceeds went back to the affected consumers. To put it simply, Ambit was forced to settle, or else they lose the license to operate in New York. The truth is, Ambit Energy is not an energy provider at its core, it has no infrastructure to provide the service on its own, surprising right? To put it simply, Ambit Energy is a sales company. It sells Energy through other direct energy providers. In other words, you are signing up an energy plan through an intermediary. I don't know what you make of this, but I have some interesting thoughts I'd like to share with you below about how Ambit earns money. 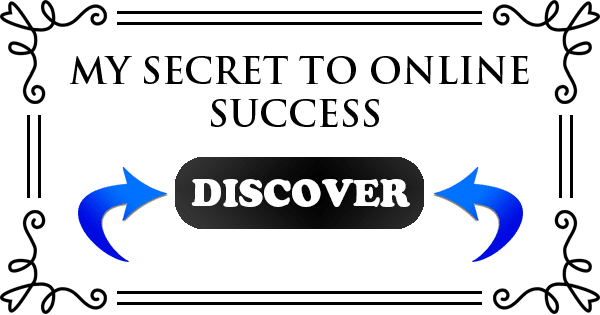 How to be successful with your Ambit Business using Attraction Marketing? Since everyone around you consumes electricity and gas, why not share Ambit with them and earn some money at the same time, right? It makes sense to earn money while helping others save. It's win-win! But now let me prep you on the things you should know before joining as a consultant, much like how your consultant should highlight the critical points when you select a plan. Do not join the business opportunity thinking that everyone around you will buy cheap energy from you. I know, only a fool would not switch to a cheaper service, right? But, that's the biggest mistake you can make! Some people are comfortable with their current energy provider, and it takes someone convincing enough to sway their minds. Having said that, you need to possess the soft skills required for this job to be successful. Otherwise, you need to take the time to sharpen your skills, which means that you have to put yourself out there and stomach tons of rejections. It is inevitable if you want to succeed. Not that easy after all, right? This business is not suitable for everyone. But if it is not them, then who, right? Let me explain. Your warm market consist of your friends, family, neighbors, and the people you know. Instinctively, those are the people who will come across your mind when you are looking for prospects. The problem is, while your warm market is the best prospects for the service Ambit provides, they are not the best prospects who would help you grow your business. Yes, recruitment is the only way to be successful with Ambit. The more people out there helping you promote Ambit, the more money you make, and this is reflected in the compensation plan which we will discuss later. You can't be truly successful based on your personal sales. With that said, your friends and family could care less about your success. They could switch their energy provider to Ambit just to support you. But when it comes to getting them to be an Ambit consultant, that's a different story. I would say that 99% of the time if they do not see results in a short period, they will quit. Remember I said that you need to acquire soft skills? Not many people are willing to go down that path. So if it is not the people in your warm market, then who? The best kind of prospects who will help grow your business is people like you. People who are sales driven, and hunger for success. But the question is, how are you going to find them, right? 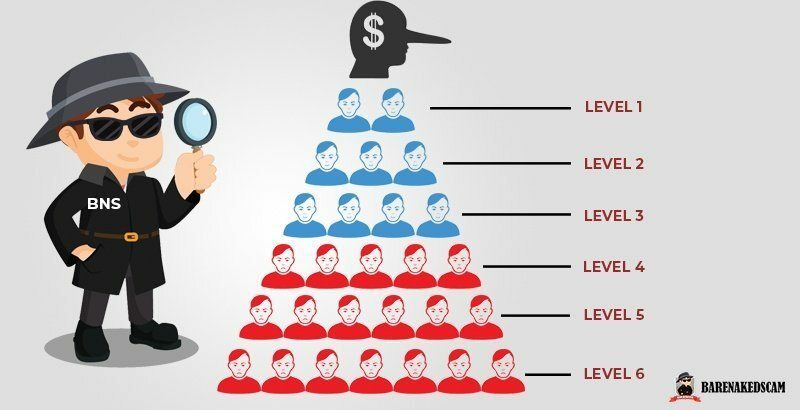 In the past, I would stop here and tell you not to waste your time and energy on Multi-Level Marketing opportunities like Ambit, because more than 95% of the people will fail. And that the traditional network marketing strategies don't work anymore. But that has changed ever since I discovered a strategy called Attraction Marketing. It is a strategy that will allow you to attract the right type of people for your business. And the good thing about this is that you do not need to rely on your warm market for prospects, and you do not need to do any sorts of cold market prospecting like talking to people at the mall or do cold calling. 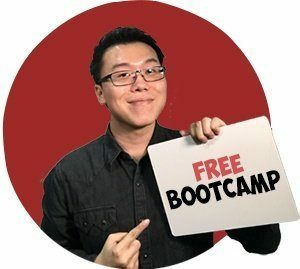 If you are interested to learn more about Attraction marketing, there is a 10-day Bootcamp that you can attend. Click here to gain access. The fact that you are going to build your sales organization means that you are going to train recruits. And, the knowledge you have, and how were you taught to promote the Ambit business will be passed on to your downlines. If your sponsor teaches you all the wrong things like "focus on recruiting" or "manipulating people to join the business because Ambit is a Turnkey business," your entire organization will be built on that foundation. And as we know, a weak cause can cause an entire organization to crumble. Recruitment schemes don't sit well with the law anyway. So, to choose your sponsor wisely means that you have to assess how you were being brought into the business. Did you join the business because Ambit benefited you, and you want to share it with others? Or, did you join the business you just want to earn some extra cash? I will be honest that if your answer is the latter, many other opportunities are much easier to earn money than Ambit. The question that came to my mind while I was researching about this company was, "How do they earn money when they are providing such cheap energy?" Wouldn't they be losing money? What gives them a competitive advantage and how are they able to be the cheapest on the market? As I've mentioned above, Ambit is not a direct energy provider. It does not supply energy directly to its consumers. The key to understanding how Ambit earns money is through the concept of Wholesale. Because Ambit can generate a high volume of new customers to its contracting partners who would supply the energy, there must be some secret contract in place behind the scenes that would allow Ambit to earn money whenever they send new customers to the energy providers. If not, how else would Ambit be able to generate money and support its compensation plan? My guess is whenever Ambit earns money from its contracting partners; the funds will then be redistributed through the compensation plan. I am pretty confident that this is how Ambit works. what do you think? Please share your thoughts in the comments section below. Let's talk about each of them. To put it simply, if you can sign up 30 customers (not marketing consultants), you will be able to earn a maximum bonus of $400. Signing up more than 30 won't earn you more bonus. But, there is a break down for this $400 bonus. Whenever you sponsor (recruit) a marketing consultant who managed to sign up 5 new customers in their first 4 weeks, you earn a $100. If you qualify as a leader, you will earn a Consultant Leadership Bonus whenever someone joins your organization (regardless of the levels or generations) and manages to enroll 5 new customers. This is the most enticing compensation out of the 3. It allows you to earn money whenever someone in your organization pays their energy bill. Take note that you will be paid 6 levels deep of your organization. Want to be successful with Ambit Energy? Read T​​his! To participate in the compensation plan mentioned above, you need to pay a one-time fee of $75 to join as a marketing consultant. Then, you have to pay a $24.95 per month for a personalized Ambit website. This website will be your portal to sign up new customers or sponsor marketing consultants. The good thing about this is that the cost of joining used to be $429, and now, you can participate in the compensation plan at just $75. Ambit Energy is a Multi-Level Marketing Company that is supposed to provide cheap electricity and natural gas to its customers. It was co-founded by Jere Thompson Jr., whose family started the well known worldwide franchise called 7-Eleven, and Chris Chambless, who was a senior executive of Excel Communications, which was one of the fastest growing companies in the U.S. surpassing Wal-Mart and Microsoft in 1995. Seeing the opportunity to capitalize on the energy deregulation, the co-founders started this company with the intention of redistributing wealth and at the same helping people save money on their energy bills. Currently, Ambit Energy provides its services to 17 deregulated states in the U.S., and it has over 1 million active customers. Now the biggest question you probably have, "Is Ambit Energy a Scam?" It is because there are so many things to discuss about the Ambit service and its business opportunity that leads to this conclusion. If you haven't read the above yet, I highly suggest that you do so. Honestly, with such a business structure, many people will claim that Ambit Energy is a pyramid scheme. So, the first question to ask is, "does the services provided by Ambit Energy gives you with the value you need?" Personally, I think that it does, because Ambit sells energy in wholesale for the direct energy providers which allows consumers to enjoy a cheaper energy bill. So, in this sense, Ambit does provide a service that consumers need, thus it is unlikely a pyramid scheme. Unlikely? Let me explain. No matter how legitimate Ambit Energy is, there will be a group of people who will give the company a bad name. Those people are the ones who will present the business opportunity as an easy way to earn money. Their primary focus is on recruiting new consultants, and nothing more. And that's why some people will feel that Ambit is a pyramid scheme. A consumer's experience will differ depending on the integrity of the consultant. Bad experiences derive from poor delivery by the consultant. If a consultant do not explain the details of the plan properly, it will lead to misunderstanding between the consumer and the company. And that's why some people will feel that they have been deceived. The company, in general, does its best to educate its consultants on the best practices. But in the end, it is how the consultants deliver their pitch that matters. So at the top level, I don't think the company has any intention to deceive anybody. 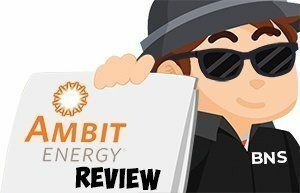 Verdict: Ambit Energy is not a scam! I hope these pointers help. If you have any suggestions, feel free to leave it in the comments section below. Whether you are considering to become an Ambit Consultant or you want to benefit from the services, you have to exercise due diligence. Do not sign a contract blindly, and do not join the business opportunity without considering the things I've mentioned above. Ask your consultant to walk you through the contract, and if that consultant refuses or gives you an excuse, don't sign with them. You can always find another consultant from the website. If you enjoy the customer service from your consultant, then it would make sense for you to consider the business opportunity. A considerable part of the due diligence is already done on the fact that you are a happy customer of Ambit Energy. If you ever find yourself in a situation where you do not have enough prospects or leads, I would highly recommend that you learn more about attraction marketing. This is the strategy used by top earners to find high-quality prospects online. I would recommend that you check out this program. 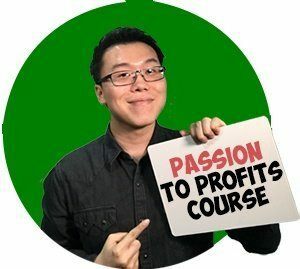 It is a program that teaches you how to turn your passion into a full-time online business. Thousands of people from all around the world have benefited from the program, including me. Were you or are you an Ambit Energy customer? I invite you to share your experience in the comments section below and do let me know what you think about my exciting discovery above as well. If you find this review helpful, please share it! Others may be looking for this information. Thank you for reading this review! I hope that I've provided you with sufficient information to make an informed decision. I wish you all the best in whatever decision you make! Thank you for your input! Could you please provide more info as to why you think this is a scam please? That would help people reading this review. Just sent you an email Editha! Please check. You need to take down the Ambit Energy opportunity video “Getting Paid” because it has a major inaccuracy. It says the Investment fee is $429.00, which it was. However it is no longer true. The business opportunity investment is now only $75.00 and has been for over 2 years now. Just a heads up, as I will be bringing this to the company’s attention. You’ll need to contact the company and have them send you an updated video. Thanks for informing! This review was written some time ago, so that explains the outdated video. Now, I’ve swapped the video to a more recent one. Please check it out. If you find anything any outdated information, I’d be happy to update them. Feel free to share your thoughts and experience with Ambit as well. It’s very interesting and exciting only once you have kinda 20+ customers! It’s not a full day business so I decided why not give it a try. Hopefully will see alot more numbers and success! This article is completely off-base and incorrect. Ambit has an A+ rating with the BBB and has a multitude of awards and accolades including multiple and prestigious JD Power and Associates awards for customer satisfaction. I have been an Ambit customer for over 2 years, I receive free electricity and have never had a problem. The information in this article is wrong and for the most part, any problems are usually because the customer didn’t renew their contract and went into a default rate. Also, just recently the PUC in New York gave Ambit certification to be an energy supplier and to market to low-income customers in New York. See full report. I would challenge Ms. Chaskey to provide proof she was billed as she was, outside of that it is just someone making accusations. I would also challenge Mr. Cao to correct the incorrect and misleading information on his website. Thanks for your comment Kliff! I’ve now updated this review. Please read it and give your comment. Everything here is so out of touch it’s almost a joke. Ambit bends over backwards for its customers and consultants. Why is there an A+ rating with the Better Business Bureau-look it up. Also they have received numerous awards from JD Powers for their customer service. And no matter what company you use, if your contract expires you automatically go on a high variable rate. Thanks for your comment L and thanks for your insights! Apologies for not updating this review sooner. I am an Ambit consultant. Registration to be a consultant is not$429–it is $75, lifetime. Ambit is not a get rich quick scheme. It is a real job and it takes willingness to work and learn. I am delighted that I have saved friends and family a lot of money on their bills. And, except in New York state, consultants are not allowed to renew customer’s plans. This is actually a protection for the consumer. I always stress that if a customer doesn’t decide about their account, Ambit has to return them to the incumbent or put them in a default plan–it depends on the regulations where they live. And if we have enrolled them in the best plan, doesn’t it make sense that the default plan isn’t the best one? Ambit also notifies customers by mail, email and phone when plans are expiring. And as a customer’s consultant,they notify me,too. I have found the leadership of Ambit and my team to be honest and hard-working. I’m sure there are bad consultants out there but if you enroll through a friend, family member, co-worker, or business associate… you know who you can trust. My personal business is built on the company motto…”Never sacrifice integrity for growth”. I have never regretted my decision to join Ambit. Thank you for your comment Barbara! I had the same thought as you when I re-looked at Ambit. I Sincerely apologize for the late update on this review. I hope you are able to share this with the people whom you are prospecting. I am sure this review can help. None of the costs to get into it are correct. The renewal is automatic now in NY it’s a guaranteed 1% savings. They settled their lawsuit. Funny part is National Grid in 2016 had to settle a 1.5 million dollar lawsuit for over charging, are they a scam. Thanks for your comment M! Sincerely apologize for my late update on this review. It’s updated now. Ambit is no longer 429.00. The price has recently be reduced to only $75.00. In addition to the reduction in the initial investment to get started, Ambit Energy has also expanded to Japan and on November 1st will be expanding into Alberta Canada. My apologies for not updating this review. It was long overdue and now its updated. Hope to see your comments soon. The people here that are complaining are not responsible adults. If you were educated you would know about deregulation of energy. There is no cost to enroll. There is no penalties to quit. Our rates are competitive and ambit was just voted by New York State to be the only third party supplier for low income families in the state. It’s unfortunate that ignorant people don’t do their homework. I don’t mean just googling it, I mean checking with reliable companies like the such as the Better Business Bureau, JD Powers The Direct Selling Association. If you had a $4000 bill with them it’s your own fault for not paying attention to paying your bills. It sickens me that so called intelligent people would base there opinion of a company such as this one, or yelp. Now those are SCAMS. I believe your concerns are now addressed in the updated review. Who created this page to talk about ambit really don’t know nothing about it Ambit Energy has help me and too many people to save a lot money on electricity. On the Bussiness has changed my life forever thanks to ambit I can take care of my kids and family at anytime please If you don’t know what to do during your spare time take a minute to study the ambit opportunity and then talk about Ambit. If you don’t believe respect everyone who really believe in ambit!!! Thanks for your hyped comment! In no way you should talk about or advertise Ambit as a “Get Rich” or “Get out of the rat race” scheme. I know your life have changed because of Ambit, but please, I hope you do not use that as a reason to prospect new clients. And, I’ll appreciate if your sarcasm is minimized. Thanks! Websites like yours need to KEEP UP TO DATE on what you report. This web site seems to by YOUR JOB JACK, do your job responsibly. CUSTOMER sign up is FREE. Variable AND locked-in prices ARE AVAILABE; for contract length CUSTOMER chooses. REMINDERS are sent 30 DAYS BEFORE end of contract for renewal. If Ambit’s rate is lower than what customer currently has, they do save!!! CONSUMERS DO NEED TO KNOW, READ,UNDERSTAND , ASK QUESTIONS!! So many people are so lazy they don’t want to be accountable for THEIR irresponsibility. ANY business owner needs to WORK , DO what is REQUIRED in their PARTICULAR field to achieve desired success. MOST people WONT do WHAT IT TAKES!!!! My sincere apologies for not updating this post earlier. It’s long past due I know. After re-looking into the business opportunity and the way it is operating now, I can see that the company is putting in the effort to make things right, hence my change of view on this company. I hope this will help your prospective clients understand a little more about the company and can help them decide if they wish to join. This needs to be completely revised. Not only has the consultant join fee been lowered significantly, the rates everywhere have changed as well. For the people that have chosen to go through the variable rate plan, you absolutely have to read the fine print and renew before your renewal date is up or that variable rate will kick in and you will have to start another contract. It’s hard to believe that in this age of technology that people cannot mark a calendar or set a reminder for themselves. As for being in the business of direct selling; it’s YOUR business. Your success depends on how you manage YOUR business. If you’ve exhausted your list and find just 1 person out of 10 on that list, why are you giving up on the other 9? It may not be fore them now, but who’s saying that it will not be for them 2 months down the road? What about a year from now? I don’t stay with just the people on my list because I meet new people every day and I always share the opportunity to anyone who will listen to me. I became a consultant in May of 2017 working my business part-part time. I’m talking maybe half an hour a day. My goal was to make anywhere from $200 to $300 monthly to help with expenses. It is now September 2017 and I’ve personally made $2,000 finding people who are of the same mind set as me and helping them to gather their first couple of customers so that they could get their first bonus checks. No. It isn’t easy. If it was easy then it wouldn’t be worth it. Nobody claims that Ambit is a scam. It is because of its many law suits and customer complaints that gave it a bad rep.
seems like the problem is people missing their renewal and that’s when the variable rates kick in. at that point yea your responsible for your dumb mistakes. but moral is read the fine print. So very thankful for it because I never thought that i could be one until now. You so right! Ambit has been Scambit and somehow still able to continue doing business in NY??? Ambit is not a scam by no means. It is a legitimate company that cares. It is not a get rich quick program it is a job. It is a very generously rewarding job. Ambit allows for financial freedom. Ambit does what it promises. You can get low rates and save money, even earn free energy (I am). 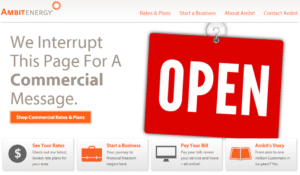 Ambit notifies each costumer when there is an upcoming rate change. If your paying an electric/gas bill then I assume you are an adult. With that said, all you have to do as a responsible adult is read your mail/email or answer your phone when Ambit reaches out to you. Then you won’t be stuck with rates you don’t choose. It’s that simple! Ambit don’t sacrifice integrity for growth! Are you saying that those people who did not have a good experience with Ambit are not responsible adults who did not read their mails or answer calls? I was with ambit from part of 2013 to 2015 and my final budget billing was $4000.00!!! How can they get away with this? I received a piddly check from 2013 as this was not a full year. Then I received a check in 2014 which was a little more. I have yet to receive a check for 2015 usage which should be significantly more in my estimation. Four thousand dollars is unheard of. I don’t have a large house and my nyseg bills never even came close to what they charged me and I was on budget billing. Can someone please look into this and send me a healthy refund? I am retired and this stress has caused me a case of shingles. Thank you kindly. Linda CHASKEY. You sound like an Ambit shill. Find and attract the right team members to grow your Ambit Energy Business. No more rejections from your prospects! Where should I send the Bootcamp? Enter Your Name and Your Best Email Address to Gain Instant Access!